“No Christian proclaims the Gospel 'on his or her own' but only when sent by the Church who received the mandate from Christ himself. 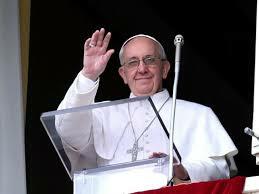 It is precisely Baptism that makes us missionaries,” said the pontiff. “The staff and the sandals are the endowments of the pilgrims because so are the messengers of the Kingdom of God, not all-powerful managers, not irremovable officials, not touring stars." 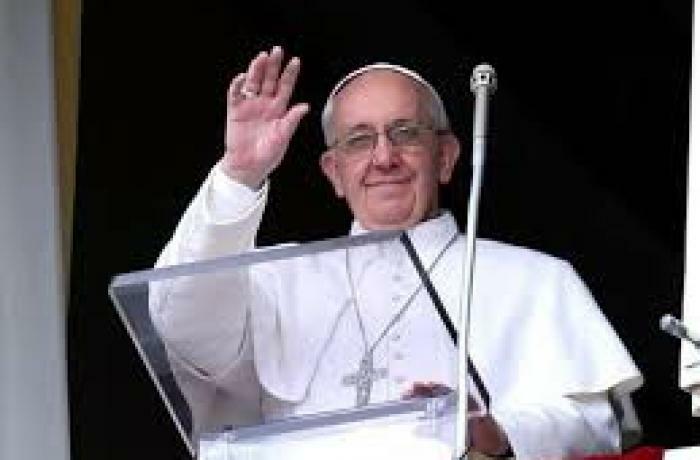 Vatican City (AsiaNews) – Pope Francis spoke about missionaries in his Sunday Angelus address, that is all the baptised, called to bear witness in various environments of life to the Gospel of Christ. He noted that they have as their centre of reference Jesus, of whom they are the "messenger" and "poor in means". Speaking to some 20,000 people in St Peter's Square, Francis commented on the passage of today's Gospel (Mk 6: 7-13) which "narrates the moment in which Jesus sends the Twelve on a mission. After calling them by name one by one "that they might be with him" (Mk 3:14), listening to his words and observing his deeds of healing, now he called them again to "send them out two by two " (Mk 6:7) to the villages where He was going to go. This is a kind of 'apprenticeship' of what they will be called to do after the Resurrection of the Lord with the power of the Holy Spirit." "The Gospel passage focuses on the missionary style, which we can sum up twofold: the mission has a centre [and] a face." "The missionary disciple has first of all a centre of reference, which is the person of Jesus. The story shows him using a series of verbs that have him as subject – "he summoned" them, "began to send them out, [. . .] “gave them authority, [. . .] instructed” and “said to them (Mk 6:7-10) – so that when the Twelve went out to work, it seemed to be radiating from a centre, the recurrence of the presence and work of Jesus in their missionary action. This shows how the Apostles had nothing of their own to proclaim, nor any capacity to show but speak and act as "sent out", as messengers of Jesus." "This Gospel episode also concerns us, not only the priests, but all the baptised, who are called to bear witness in various environments of life to the Gospel of Christ. Even for us, this mission is authentic only starting from its changeless centre that is Jesus. It is not an initiative by individual believers, groups or even large groups, but it is the Church's mission inseparably united with her Lord. No Christian proclaims the Gospel 'on his or her own' but only when sent by the Church who received the mandate from Christ himself. It is precisely the baptism that makes us missionaries." "The second characteristic of the missionary style is, so to speak, a face, i.e. the poverty of means. His equipment meets a criterion of sobriety. The Twelve, in fact, have the order "to take nothing for the journey but a walking stick—no food, no sack, no money in their belts " (Mk 6:8). The Master wants them free and light, without support or favours, sure only of the love of Him that sends them, strong only of his word which they go out to proclaim. The staff and the sandals are the endowments of the pilgrims because so are the messengers of the Kingdom of God, not all-powerful managers, not irremovable officials, not touring stars." The Pope invited those present to think about some of Rome’s saints, those of his diocese, like Saint Philip Neri. "They were not officials or entrepreneurs," he said. "To this 'face' also belongs the way in which the message is received. In fact, it may happen that we are not welcomed or listened to (Mk 6:11). This too is poverty: the experience of failure. The story of Jesus, who was rejected and crucified, foreshadows the destiny of his messengers. Only if we are united with him, who died and rose, can we find the courage of evangelisation." Pope: conflicts in the Church can be solved through "discussion and prayer," not idle chat, envy and jealousy"
Pope: we all share responsibility in the Church, we must "be united and at the same time missionaries"